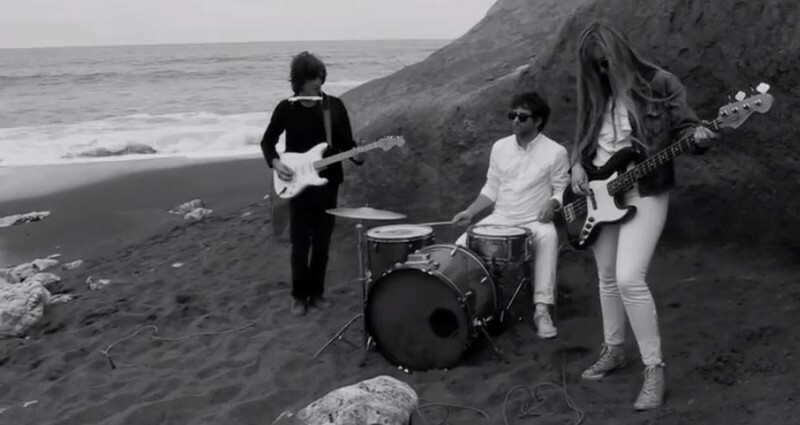 Hypnotic garage bands from San Francisco absolutely do it for me. The Spyrals have risen above the rest with a more classic approach, tight drumming and dizzy guitar riffs. This trio is jangly, fuzzy, trippy, and lead singer Jeff Lewis has a great commanding presence and a perfect rock star voice, he can cry without whining the way Neil Young sings. Their album they released this summer, “Out of Sight”, is a great collection of tight, Bay Area sounding rock and roll. I know it’s a cheap cop out to say a band sounds like another, but these guys really do the early Rolling Stones sound well. Opener “Need Your Fire” sounds like it should be in a Quentin Tarantino movie, while “Such A Pain” makes you shimmy with the heavy use of tambourine and delicate repeated guitar riffs. The title track is exactly what you would think a San Francisco garage rock band would sound like, man they nail this sound. Most of the songs clock in under three minutes, making this album very economical and great for running errands, you never have to sit in the parking lot for eleven more minutes til the song ends like you do with the Grateful Dead. While they have psychedelic tendencies live, at the end of the day this is a tight, concise garage rock band that needs to be played on everyone’s radio. The bassist Dylan Edrich has done time with Thee Oh Sees and Mikal Cronin, so fans of those should check these guys out. Future looks jangly and bright for these guys. This entry was posted in Album Reviews, Band of the Day, Music, New Music, Uncategorized and tagged Bay Area, garage rock, Mikal Cronin, psych psychedelic, rock, San Francisco, The Spyrals, Thee Oh Sees by leslieloudspeaker. Bookmark the permalink.